Why test your blood glucose levels? Simple answer: So you know as early as possible if you are becoming a diabetic. It also might help in your dieting for weight loss. Higher levels of blood glucose can do quite a bit of damage before you ever notice any symptoms. Then it’s too late. Read through Rocky Angelucci’s articles about the power of testing your glucose levels and what it can tell you. What Do Our Glucose Checks Tell Us? Simple answer: So you can change your diet enough before high levels of blood glucose mess up your your organs, blood vessels and nerve cells. Why don’t most doctors recommend glucose testing for normal people? Jenny Ruhl at BloodSugar101.com goes over in detail the history of the current recommendations by the ADA. The bottom line is that very few doctors do the necessary testing to help you prevent diabetes. Instead, they wait until you get it and then help you live with it, primarily with drugs. Think about it. 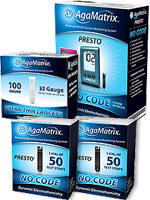 For about $55, you can buy an A1c test kit and a glucose meter with 100 test strips. Instead of speculating about things, you can actually see how various meals affect your blood glucose levels. Why wait to learn how to use a glucose meter until you have diabetes? Wouldn’t you want to track your numbers so you might be able to see a trend and reverse that trend before it’s too late? High blood glucose can lead to diabetes. Think it’s not a big deal? Go to this page and look at what a diabetic foot looks like. WARNING: Very graphic, but very real. One wouldn’t think that such a nice, sweet thing like sugar could do so much damage. Your body needs sugar to function. But it needs it in just the right amounts. There is about one teaspoon of sugar traveling around in your blood at any given time. If you cut that in half, you’ll blackout and die. If you double that for any length of time, slowly but surely, certain cells will get destroyed. You’ll never really notice the symptoms until the damage is so significant that not much can be done. You might get a false sense of security due to your yearly doctor’s testing of your fasting blood glucose levels of 90. Testing at just one point in the day, is just about useless. It really doesn’t tell you how your blood sugar levels are during the rest of the day. You can possibly have high blood glucose levels throughout the day that slowly come down between your dinner time and your testing time in the morning. Your fasting blood glucose levels also vary from day to day for a variety of reasons. What’s really important is how long your blood glucose levels stay elevated throughout the day. As I document in Don’t Die Early, blood glucose levels above 140 mg/dL are “toxic” to internal organs and studies even indicate that physiological harm occurs every time our blood glucose levels exceed 100 to 120 mg/dL. Reaching these levels day after day, week after week, year after year, slowly destroys our insulin-producing pancreatic beta cells and causes Type 2 diabetes. We simply can’t know how unfavorable our postprandial glucose levels are unless we check. And we don’t have to think of ourselves as diabetic in order to spend a few days conducting this eye-opening research on ourselves. A person can read articles about foods that lower or raise the risk of diabetes and can memorize glycemic index tables until her head spins, but nothing can come close to spending a few days with a glucose meter. With a little effort and minimal cost, we can measure, not speculate, what we’re doing to ourselves with every single meal. You need to find out how your body handles different foods that you eat, not only those individual foods, but more importantly, how your body reacts to those foods in a typical meal that you eat. The bottom line is that you have to test yourself to see what works for you. Use the scientific research out there for guidance but you need to do your own N=1 experiments. The most direct answer to your blood glucose levels is to just do the testing. It’s not that difficult and it’s not that expensive, if you use this site to find the cheapest glucose test strips. You don’t have to spend over $100 for a meter and 100 test strips at your local drugstore of supermarket. 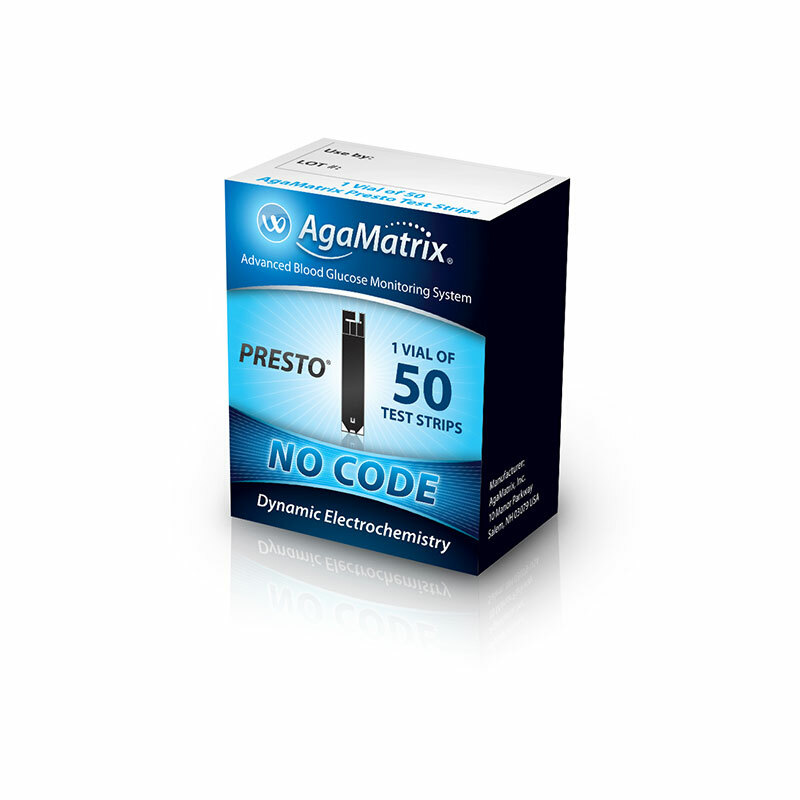 For only $23.25, you can get a very accurate meter with 100 test strips, 100 lancets and everything you need to test yourself. If you are eating the standard American diet recommended by the USDA, you have a high risk of developing metabolic disease(pre-diabetes) and then going on to develop full fledged diabetes. That means that 79 million people are on their way to developing diabetes, and probably most of them don’t know it. It they knew, they would have the opportunity to change their diet and avoid further damage. Unfortunately, they will wait until their doctor tells them they have diabetes and how important it is for them to learn how to use a simple blood glucose meter. I find that really sad when it doesn’t have to be that way. Be proactive and test. It’s not that expensive.